The central probe agency is expected to either seek fresh custody of Michel or move an application for questioning of the accused alongside the CBI under the PMLA. 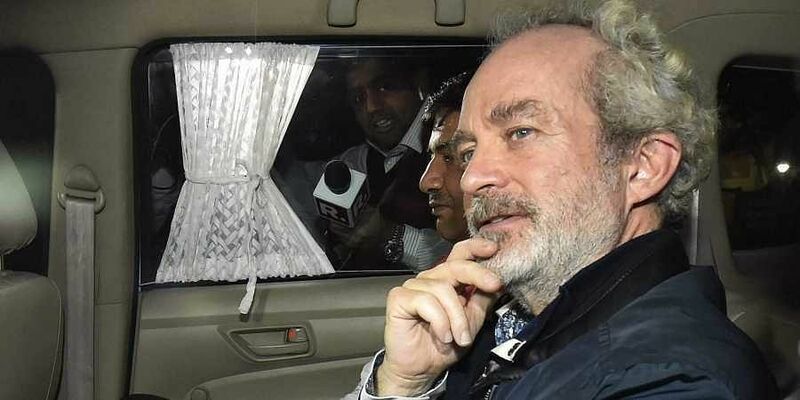 NEW DELHI: The Enforcement Directorate (ED) will question alleged middleman in the Rs 3,600 crore VVIP choppers deal Christian Michel over purported creation of "shell firms" in India and abroad by him and others to launder bribe money, official sources said on Wednesday. Michel, 57, was extradited by India from the UAE and was brought to Delhi late Tuesday night. He was formally arrested by the CBI and produced before a special court here on Wednesday that sent him to five days of the agency's custody. The ED, the sources said, will specifically asked about their "dealings" with Indian Air Force (IAF) officials during the course of the VVIP choppers deal. The ED in its charge sheet had said that the three middlemen "managed to" make inroads into the IAF in order to influence and subvert the stand of the air force regarding reducing the service ceiling of the helicopters from 6,000-metres to 4,500 metres in 2005 after which AgustaWestland became eligible to supply the dozen helicopters for flying VVIP sorties. The probe also found that Michel had hired a firm to provide to him from India an analysis of market publications related to manufacturing industry active in Indian defence arena, the economic and financial trends in the country and overall views on private sector participation in Indian defence and manufacturing industry. The CBI had filed a charge sheet in September, 2017 in this case and had named Michel as one of the accused.